Alex was born and raised in Turin, Italy. His Mother was originally from Sicily and his Father is from Veneto, a small village just outside of Venice. He learned his trade by combining the craftsmanship from both the Northern and Southern parts of Italy bringing this expertise to you! Alex has been in the United States for over 15 years and proudly became a US citizen in 2015. 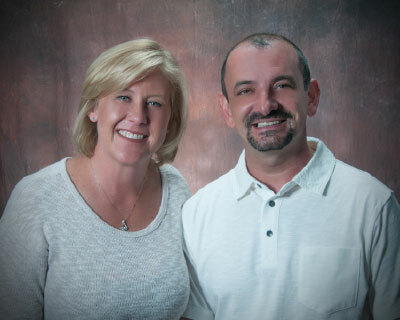 Denise and Alex married and became a blended family with 4 teenage boys and live locally in Bradenton, FL. After working in this industry for many years Alex knew it was time to branch out and open his own business. Working as a team, Denise uses her design and business knowledge to run the showroom, assist builders and designers with their clients, and help walk-in customers with their selections. Alex provides our clients with installation services, estimates, and quality assurance. From a simple back splash to an entire home, we will help you design and transform your dreams into reality.